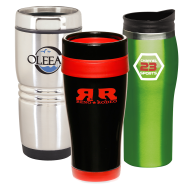 The Mines Press has a wide array of inexpensive promotional logo drinkware for your business needs. 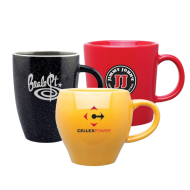 Our custom ceramic mugs, personalized plastic cups, logo sports bottles, imprinted water bottles and promo glassware are available with many customizing options to help you find the best fit for your company. 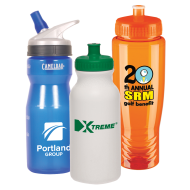 Promotional drinkware is always a popular option when choosing a giveaway item. They are time-proven crowd-pleasers that will also please your budget and provide a branded presence for your business in many scenarios. Personalized Logo Drinkware makes a great business gift. Looking for an easy, affordable and effective way to get your brand imprinted into your customers' minds? Try promotional custom drinkware from The Mines Press for your next promotional campaign and your search will be over! Finding the right personalized product to represent your brand – at an affordable price – can be a daunting task. Your promo product has to be functional and appealing to your customer base, as well as have the potential to be distributed to a wider audience, to assure an optimal flow of brand exposure. 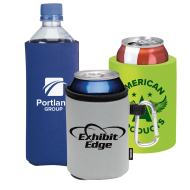 The benefits and brand exposure capabilities of custom promotional drinkware have been fully tested over time, making them a long-time favorite – and effective – promo product for businesses in any industry. Imprinted ceramic mugs made of the finest ceramic material and come in a wide variety of styles and colors. Personalized travel mugs and tumblers available in multiple shapes, colors and materials. They each have several customizing options that will help make it easy for you to find the best fit for your promotional needs. Water bottles with logo come in a wide array of imprinted water bottles made from stainless steel, BPA-free plastic and acrylic. 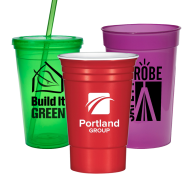 Personalized Plastic Cups make a powerful promotional tool to give away at picnics, school fairs, street fairs, ball games or any other crowd-gathering event. 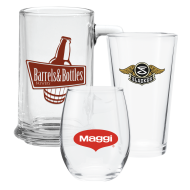 Glassware with logo makes for a great gift or giveaway at conventions, tradeshows, special events and for the holiday season.Custom printed pint glasses, wine glasses, shotglasses, stines and more! Promo Koozie Can Coolers are always a crowd favorite, available in many sizes and colors. It's time to make the right move to help your next promotional campaign reach all of its marketing goals. The Mines Press collection of promo custom drinkware will get you there!